The police in Sokoto State have arrested one Ibrahim Alhassan, an alleged gun fabricator, for being in possession of two-locally made revolver pistols with 18 improvised rounds of live ammunition. 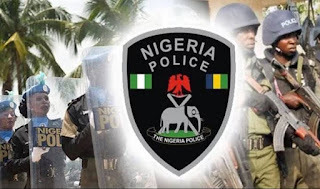 The Police Public Relations Officer (PPRO) in the state, ASP Muhammad Sadiq, confirmed the development while briefing newsmen on Thursday in Sokoto. Sadiq said: “A team of police patrol attached to Sabon Birni Dvision in Sabon Birni Local Government Area on Tuesday arrested Alhassan of Runbukawa village in Niger Republic. “He was in possession of two locally made revolver pistols with 18 improvised live ammunition, He confessed to have sold two at Mailalle village of Sabon Birni LGA, Sokoto State for N10,000 each. “Moreover, Alhassan has confessed that he is the manufacturer of the said revolver pistols,” NAN quoted the police spokesman as saying. He added that the arrest was made in continuation of the police efforts at riding Sokoto state of criminals and reducing criminality. He said the state Commissioner of Police, Mr. Ibrahim Kaoje, had ensured coordinated search and surveillance aimed at protecting lives and property in the state. In another development, the police have recovered one official Toyota Hilux van belonging to Mr Tabia Muller, Head of Technical Section Glo office, Sokoto. According to the PPRO, Muller was trapped at his residence located at Bafarawa estate in the metropolitan by three arm men, who robbed him of the official vehicle. “Upon receipt of the information, a team of policemen went on the heels of the hoodlums and as a result of the hot chase, they have no option than to abandon the vehicle and run. “The vehicle was recovered and efforts have been intensified to apprehend the hoodlums for possible arrests and subsequent prosecution,” he said.